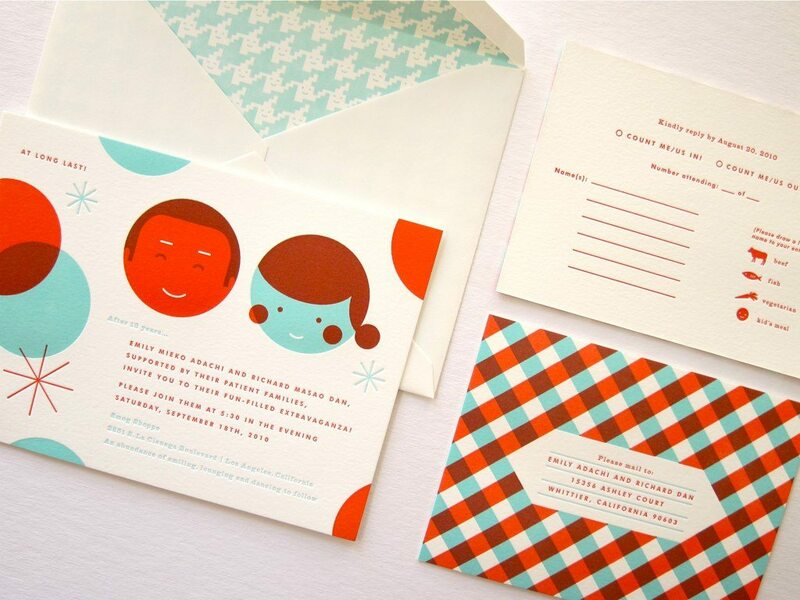 I love Erin Jang’s design work because it’s always fresh and a little unexpected. 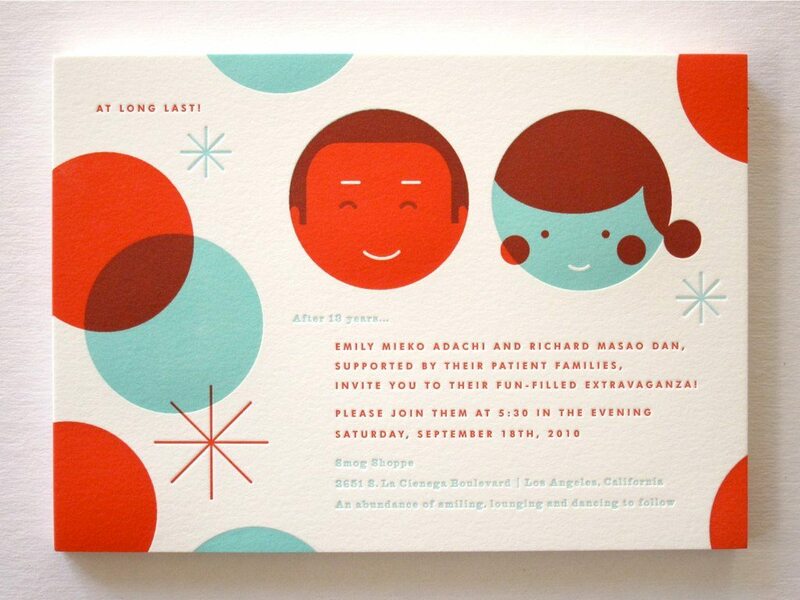 These cheerful letterpress wedding invitations were a custom creation for Emily and Dan’s recent wedding and I just love how playful they are. 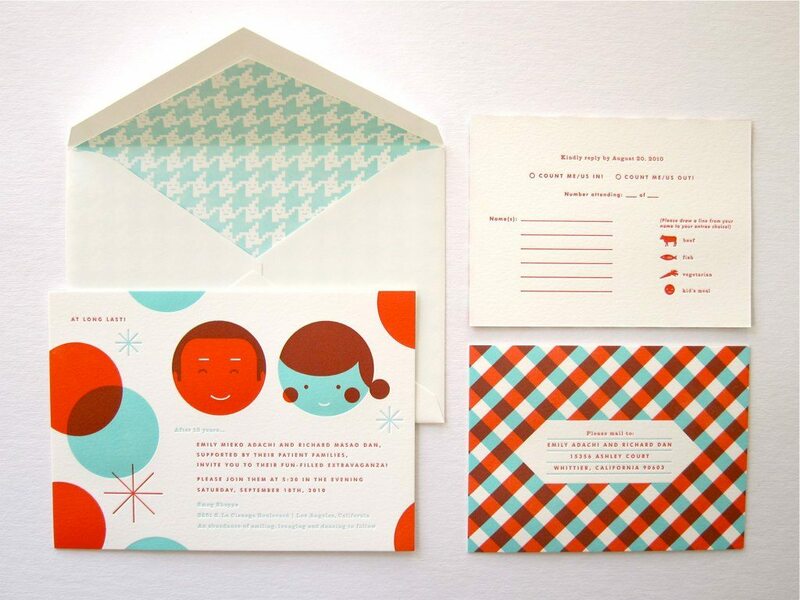 They have a mid-century appeal, a fun smiley face custom envelope liner and showcase a great example of overprinting in letterpress, which is what creates the three-color effect where the red and blue overlap. Don’t these just make you happy?